Here's another reason to shoot RAW. You can take a terribly exposed photo and still salvage it. This morning's frost covered much of the landscape and we had the added bonus of actual sunshine to add that sparkle. 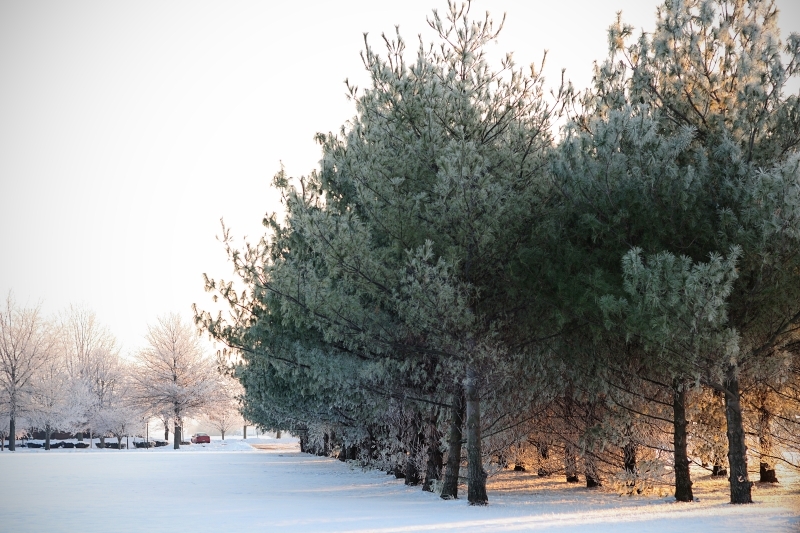 Unfortunately, I completely over exposed this scene - rows of pine trees at work. I shot it from the car and didn't have time to re-adjust the exposure. But since I shot it RAW, I can adjust the exposure. This one was really blown - I adjusted the exposure -1.2 from the original. I then converted the RAW file to .JPG and finished things up in PSE - simply cropping and adding a slight vignette. For RAW processing, I am currently using Nikon's free ViewNX2, which gives the user the basic adjustments of exposure and white balance (basic, but essential!). I like that it is really pretty easy to use and reads in any custom settings I have set up in the camera. And you can't beat the price. Even so, I am currently learning Lightroom 3 - I think that it will speed up the processing and add some functionality not available through ViewNX2. 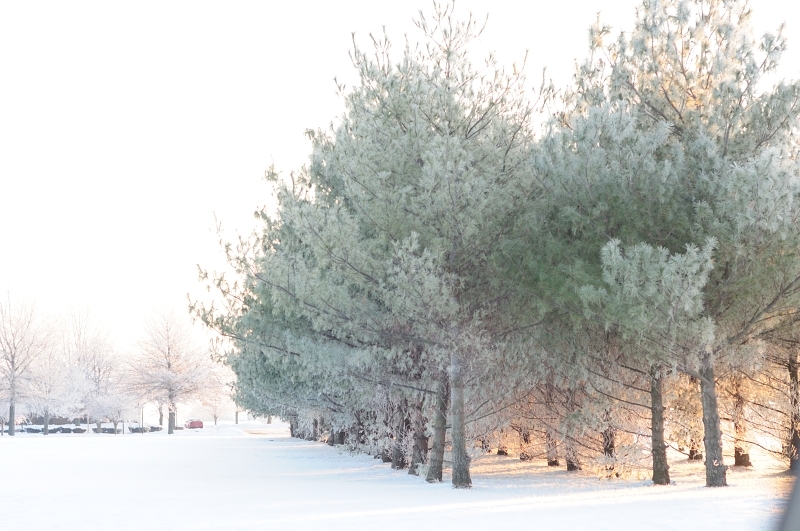 And I am sharing another capture from this morning - the same pine trees, just a little different perspective. 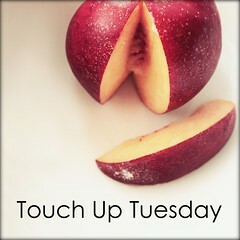 I am linking up today to Paper Heart Camera's Touch Up Tuesday. I hope you found today's touch up information helpful! Nice work on the editing... I've been using ViewNX for editing too, along with Microsoft Picture Manager. I find some of the other choice a bit too much to handle, maybe that's a good project for the new year... find a better photo editing package. 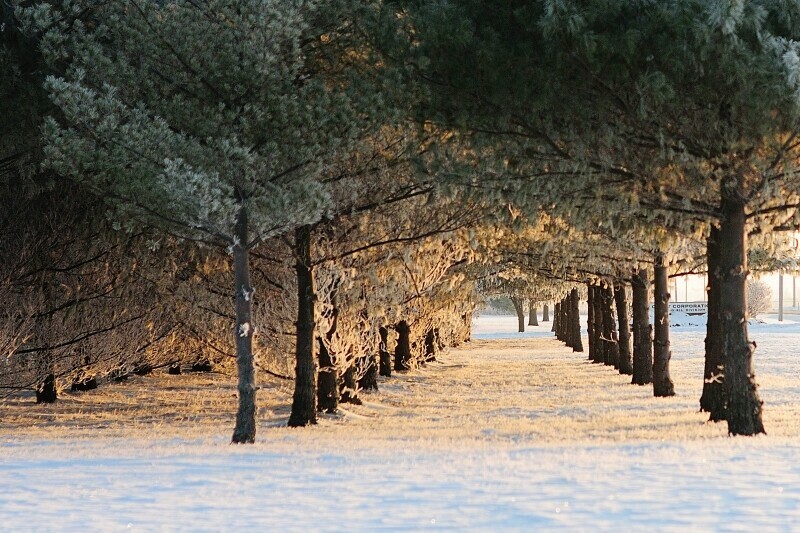 Love the second shot, those trees offer great leading lines to draw one into the frame. Nicely done! Great information. Love the fianl image. Nice editing work. I only use Photoshop.